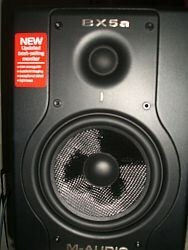 M-audio BX5a is one of the best reference monitors that a beginner home studio engineer can afford. This tutorial will illustrate two ways on how you can connect M-audio BX5a to your computer. The first method is regarding the use of PCI soundcards or on-board soundcards with M-audio BX5a. 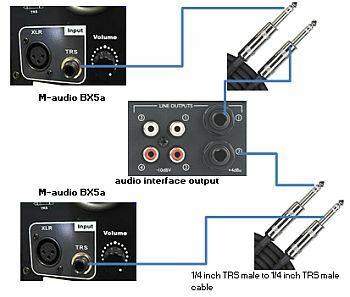 The second method is a more recommended which is to connect the BX5a to an external audio interface such as USB or Firewire audio interface. Take note this is a Y cable, on the other end are two RCA male jacks while on the opposite end is a single TRS 1/8 inch jack. 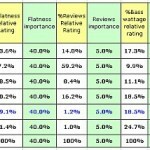 Select a high quality audio cable. Do the same for the other RCA male jack in the Y-cable. 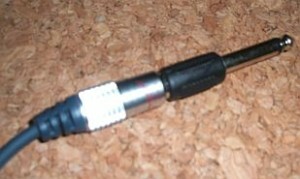 As a result the Y-cable is now converted to two 1/4 inch TRS jack male plug to a single 1/8 inch TRS jack male. 2.) Now you are ready to connect them to your M-audio BX5a and computer soundcard. First connect the TRS 1/4 inch male to the back of the M-audio Bx5a. Do the same for the other BX5a unit. 3.) 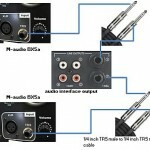 Finally connect the 1/8 inch TRS jack to the back of your soundcard stereo output. You have successfully connected M-audio BX5a to your computer PCI soundcard. 4.) Plug the computer power to AC. 6.) Turn on your computer (boot). (Do not yet turn on BX5a). 7.) 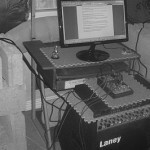 After the OS booting has been stabilized and turn on both M-audio BX5a unit. Turn the volume level at the back of your monitor to around half (50% maximum). 8.) Play some music and turn the volume level of your computer audio player to some reasonable volume. The BX5a should be playing the music. 1.) 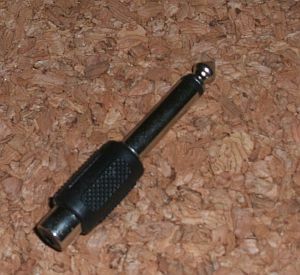 Plug one end of the 1/4 inch TRS male jack of the cable to the back of M-audio BX5a unit. 2.) 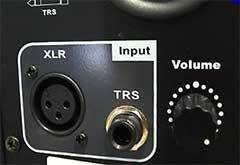 Plug the other end of the 1/4 inch TRS male to one of the audio interface main monitor output. TIP: How to connect speakers to amplifier correctly and prevent damage? This is an important tutorial on how you will connect speakers to your amplifier correctly and prevent any damage. 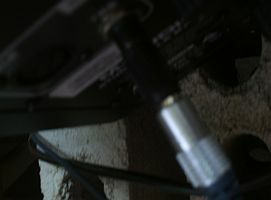 First, you should know some basic electrical theory behind connecting speakers.